Back in the Victorian era, a girl named Mercy Smith has been possessed by the Devil himself. Churches were crazy and told all of those in Mother Britain to immediately get a bible and be baptized as soon as possible. Many people lived in fear, especially since there was a serial killer popularly known as "Jack the Ripper" whom was a very recognized figure in Victorian era Britain. The Devil has came back 3 years after the exorcism of young Mercy to get revenge and to gain power from Great Britain. He had already converted around a hundred citizens so far to a demon, succubus/incubus, werewolf, vampire, imp, or a ichthyocentaur to be his minions and to convert the rest of Britain. However, there are some creatures hidden in Britain trying to save Britain from this living hell casted upon by Satan. Are you apart of Satan's army or are you a nobody that wants to save the perilous England? The choice is yours. You can find a list of some mythical creatures HERE. Be cautious on what you say on the roleplay, I do not care if I see some hells and damns flying around as it is a very horrific time. There shall not be Mary Sues. Why's that? It's because no one can be perfect. Seriously. Be as descriptive as possible when you roleplay/join the roleplay. I really do NOT want something like: John is a kind boy. He has never lied to everyone. He can be everyone's friend. I'd rather see THIS: I’m just one of the Foxxwell sisters, or twins if you don’t count my older sister Luciana in a middle class family. I was born in a bus along with my twin sister Asami back in Toronto, Canada. My father works in an automobile factory, while my mother works as a lifeguard during the summer. Back when I was 9 I was relocated to Malibu, California when my dad had a temporary job as a CEO of a restaurant chain. It was sometimes hard being in Malibu because of the constant heat and time zone changes so it took me about 14 months just to get used to the change. Sometime after my twin and I turned 13, we moved to the rural part of California, which I wasn’t much of a big fan of as I always preferred the city like most of those girls. Sometimes it’s hard for me to get along with my father as he always acts as if cars are the best thing ever to my love of acting. When people first see me and my sister, they think we act the same and stuff like my father does just because we’re twins. In summary I don’t get along well with my father, I love the city, and I’m not exactly like my twin sister. Do NOT be scared to expand your horizons. Be creative with the names please, I do not want a lot of Emily's and Japanese names around here since this is Victorian era England so please use names from that time period. You MUST use the terms being used in the Victorian era, I really do not want to have to always see the same words used over and over again in one post. Use THIS for the terms. You shall NOT use anime for your character's appearance as there was NO hair dye back in that era so please try your hardest to use humans for the appearance. Do NOT be scared to type over 100 words, I won't give a crap if you typed 500 as long as people can reply to it. Show NOT tell please, it's so people can actually see it happening in their heads. You MUST use ALL types of sentences: Simple, Compound, and Complex. Use a thesaurus and uncommon words please, I'd rather see something like in a novel than in a toddler's book. Do not join IF you are very concerned about the theme of the roleplay as it's basically a Dystopian Victorian era roleplay and WILL contain gore at times. I do not care if you use sexual content just as long as you fade to black or move to PM as there are younger ones on this forum after all. Have fun dearies. I shall post my app soon. Age: (Minimum is 15) 256; Is she allowed to be immortal? Personality: (Very descriptive, minimum of 75 words) Halcyon is a very independent person. She likes doing everything on her own, and becomes frustrated or angry if people try to help her. She's stubborn, and insists she doesn't need help from anyone. She can also be crappy, and snapping at innocent people due to her lack of sleep. This makes her have hardly no friends, so she often feels lonely and cranky. 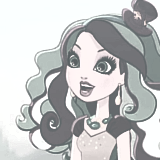 However, Halcyon can also be calm, and very sweet, making her easy to talk to and good at giving advice. She's a very determined person, and often won't give up without a strong fight. She's quite forgiving, but sometimes acts recklessly and can be rash. History: (Very descriptive, minimum of 100 words) Halcyon was born as an elemental; Her mother was one, but her father wasn't. Her father never raised her; he believed something was wrong with her, due to her looking quite different than other babies. Halcyon's mother left her father, and raised her baby alone; She was also an air elemental. However, Halcyon's mother was quite busy, with other tasks and such, so she was often left in the care of fairies who lived somewhere deep in the forest. These fairies were quite caring, and tried raising her to be sweet, kind and forgiving. However, since Halcyon didn't have any other children to play with, and her mother never helped her learn how to control her magic, she only started learning how to properly use her magic when she was about 16. But since she taught herself, her magic is a bit flawed. Power: (Evil or good powers please, NO rainbow making crap) Halcyon uses air, wind, and clouds. She can create tornados and hurricanes, along with some rain from clouds. However, since her magic is a bit flawed, the effects aren't as strong and don't last as long as their suppose to. SORRY IF THIS ISN'T GOOD. I TRIED.